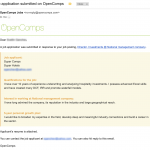 Last year we started our email newsletters to automatically update you on the latest information available in OpenComps. 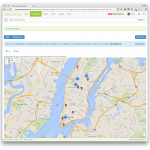 We have really enjoyed opening another venue to communicate with you on what is happening with OpenComps and to keep you up-to-date with all the great data we are continuing to collect and organize. We are currently offering daily (Monday through Friday) and weekly (each Sunday) email newsletters focused on the three major markets where we have the most data and activity – United States, United Kingdom and Australia. We would love to expand it to other markets that we also have a lot of data, like Canada, Europe, Mexico/Caribbean/Latin America. Some of it is dependent on our back-end technology and some of it is dependent on your interest and data contributions. Let us know your thoughts and we would greatly appreciate your data contributions for these regions! Also, you should rest assured of your privacy. Like you, we don’t like all the user, email and click tracking that has become so prevalent across the Internet. So, we send our emails with these features turned off. Finally, our newsletters are a lot more informative and fun if you have a PRO subscription. We hope you will consider unlocking the power of a PRO account with a subscription today. 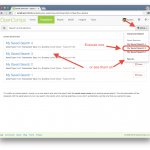 One of the great new OpenComps features from last year was the ability to create private entries within a workgroup. 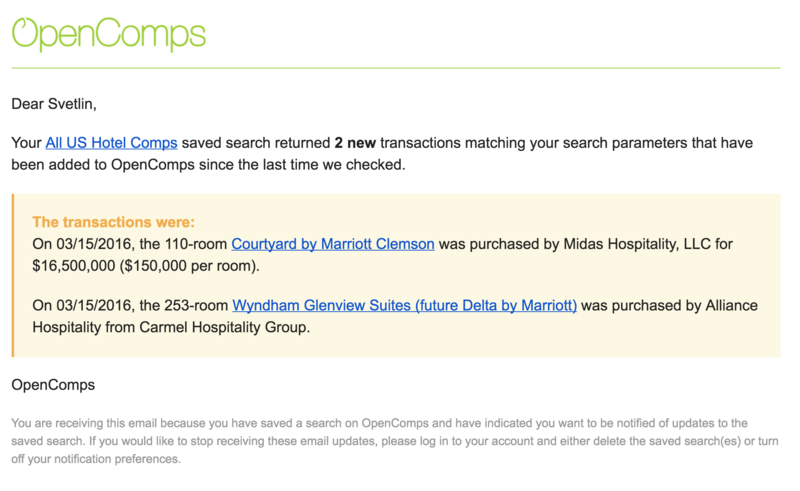 This moved OpenComps from just an online research service to a real (cloud) software. 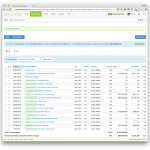 With this feature, you can take advantage of the incredible database technology that was developed to keep OpenComps’ public coverage of comps, new developments, for sale, debt comps and full P&L financials, to organize your own internal information of the same type. 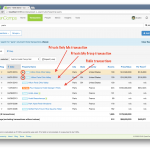 No more crashing-prone Excel files that store ADR & occupancy, or full P&L financials, or your own set of comps, or a list of the for sale offerings you receive from brokers. No more questions like “Where did we store that information?” and “Who saved over the correct Excel file and ruined all my changes?” Now, you can store such crucial competitive information safely, securely and conveniently in OpenComps and make it available to anyone in your workgroup, from anywhere (desktop or mobile). 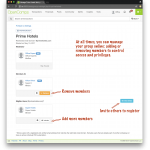 To encourage the adoption of private entries and collaborations within a workgroup, we are abandoning the per user pricing for group accounts (and manual administration) and instead switching to a flat-rate Enterprise PRO plan – currently $300 billed monthly or $3,000 billed annually – all self-administered online. The Enterprise PRO plans can handle unlimited number of members based on a specified enterprise email domain (e.g. @superprimehotels.com). This entry was posted in General and tagged new feature, PRO subscription on May 11, 2017 by Svetlin. 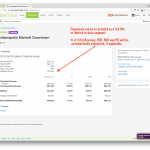 We are super excited to launch today our latest feature: the ability to record and save P&L financials. 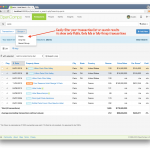 You can add financials as public or private entries – your eyes only or within your shared group. Let us walk you through the details. 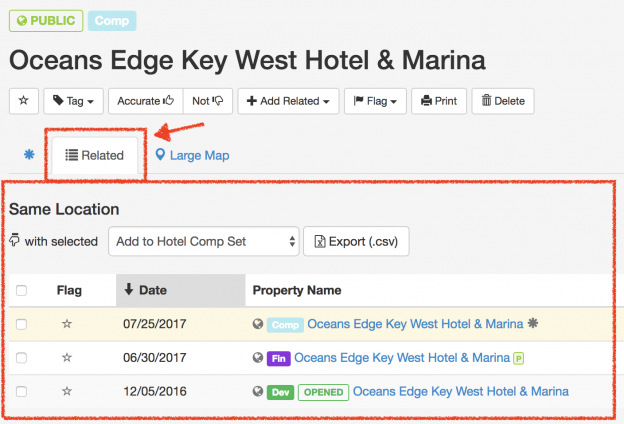 Expanding on our coverage – like developments, debt comps and for sale markers – we feel that with financials, we have truly created the ultimate intelligence-gathering tool for the hospitality investment professional. How often have you collected competitive performance information and save it in an individual Excel file that afterwards only goes to die together with a completed or aborted project? And even though you feel you will forever remember that information and where it is stored (after working so hard to gather and organize it), somehow nobody ever remembers where that information was stored or saved. 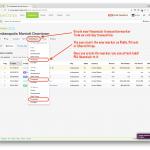 Now, you (or your workgroup) can save these financials in an easily searchable database with the ability to quickly find and retrieve the information. 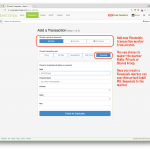 Create a Financials transaction marker for a property – you can create it from scratch using the +Add New button in any transaction list. Or you can jump start a new Financials marker from an existing transaction, just use the +Add New dropdown in any transaction. You can choose to create the marker as Public, Only Me or Shared Group, which would make the marker (and its associated financials) available and visible either publicly to all or privately to you only or within your workgroup. 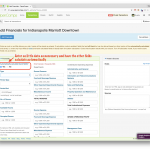 Add P&L financials to a Financials transaction marker – once you’ve created your Financials transaction marker, you can add P&L financials using the +Add button in the Financials section. 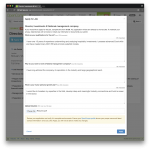 This entry was posted in General, Updates and tagged new feature on August 1, 2016 by Svetlin. 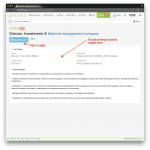 On the heels of us turning 10, we are extremely happy to announce our latest update to OpenComps. 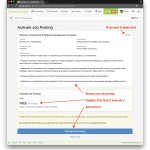 We feel that it significantly enhances and changes the purpose of the site that we would like to call this OpenComps 4.01. The new feature is the ability to record private entries. What are private entries? In addition to creating publicly-visible entries, you can now create entries that can be seen only by you (Only Me) or by your shared private group (My Group). And we really mean the only part! We have worked extra hard to make sure nobody (even admins) can get to your privately-recorded entries. Those entries are yours and yours alone. Also, we hope you noticed that there are three entries for the same property. One happens to be a Public Comp transaction, one is My Group Comp transaction and one is Only Me Comp transaction. For the same search you can now see what is available publicly right next to any available private entries for the same property. Of course, the private entries could be either for the same Comp transaction or another Comp transaction. Or it could be a For Sale tracker, Development or Debt Comp. Because they all have the same address (and geocode to the same location), you can see all entries in the Related tab, which maintains the same highlighted rows format. From any transaction entry for a given property – Public, Only Me or My Group – you can start another entry for the same property that can be either Public, Only Me or My Group by selecting the appropriate option in the +Add New dropdown. This is the quickest way to overlay a private entry on top of a public entry, or create a different entry type (Comp, For Sale, Development or Debt Comp) to a property. Or you can start from scratch with the +Add New wizard from any transaction list. If you have Export privileges, you can export private (Only Me and My Group) entries as much as you want. Unlike Public entries, private entries are yours and there are no limits to how often you want to download them in an Excel-friendly CSV format2. 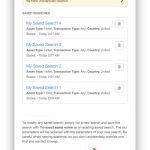 The powerful Advanced Search is fully enabled for you to search either across all transactions or limit to what’s Public, Only Me or My Group. Also, the instant statistics in Insights are similarly recalculated based on your preference for which transactions you want to be included. Please, rest assured that you are not seeing aggregated numbers that are including someone else’s transactions or that your transactions may be included in someone else’s Insights screens. As mention already above, your entries stay private throughout the entire site and nobody can see them or have them included in their aggregate screens. Recording of private (Only Me or My Group) entries is a feature available to PRO subscribers. In fact, the shared My Group is based on the shared billing group, which is currently set up only by an admin. However, if you happen to be a PRO subscriber and created private entries, these will still stay available to you3 in full detail to see or search across even if you happen to drop your PRO subscription at some point (we hope only temporarily!). You just won’t be able to add new private entries. 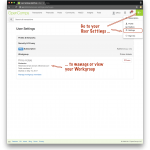 We are really excited about this new functionality in OpenComps and we hope you will decide to take full advantage of it and support us by becoming a PRO subscriber. 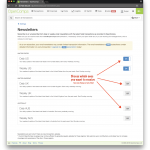 If you need to set up a group subscription, please don’t hesitate to contact us. 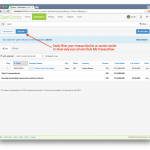 We would love to hear from you with any comments or ideas about this new functionality. If you would like to discuss it in more detail via a private web-conference, just just get in touch. This entry was posted in General, Updates and tagged new feature, update on May 7, 2016 by Svetlin. We are excited to announce two new enhancements to the Post to the Newsfeed feature: likes and comments. We created the Posts feature to promote and encourage the discussion about real estate deals in a focused and dedicated space (you can leave your latest find of a cool dinner spot for that other network; or the best ideas how to conduct your next interview for yet another network). 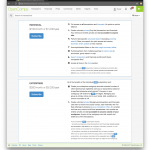 With these new features, we hope to take the conversation inside OpenComps to the next level. You can like any post by hitting the ♥ Like button. It will “light up” (turn red) to indicate your preference. If you change your mind, hit it again and it will “dim” (turn grey) to remove your like. You can add your comments at the bottom of the comments stream by writing your thoughts in the box and hitting Enter. Comments – just like Posts – are limited to 255 characters and can be only written as a single paragraph (remember hitting Enter will post your comment). If you change your mind about your comment, immediately or in the future, you can hit the Delete button on the right of your comment to delete it permanently. 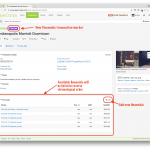 To reference an OpenComps-recorded transaction, start with “=“. 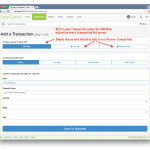 For example, =123, will automatically create a link to transaction 123. 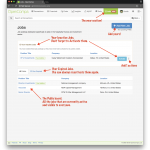 To reference another OpenComps user, start with “@“. For example, @svetlin will automatically create a link to the profile for “svetlin” (my profile!). To reference an outside internet address, make sure you include a full URL. For example, http://www.google.com will automatically create a shortened link to this internet address, which will open in a new tab/window. On the right-hand side, underneath the post, a simple counter will show you how many likes or comments have been recorded. You can click on the like counter to see who else has liked the post. When you are in your Newsfeed – either your Personal feed based on who you follow or the Public feed – you can always use the Actions newsfeed filter to limit your newsfeed to user posts only. This allows you to stay on top of posts and conversations uninterrupted by other Newsfeed action posts like user tagging or new on-the-market transactions. We really hope you embrace the Post to Newsfeed feature. We would love to create commercial real estate-focused discussions that stay in a protected community. 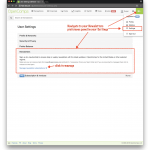 OpenComps’ Newsfeed is currently only available to registered users and is not available to general crawlers like Google or Bing to expose to the world. 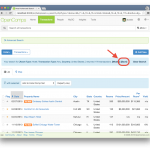 Your OpenComps activity stays in OpenComps and won’t be spread around the Internet. We are sure you will find many other uses of this feature and will likely come up with much more creative posts than the ones above. You can actively monitor users engagement with your posts via likes and nurture an interactive dialogue via the comments. It’s no fun if your posts are not getting noticed. 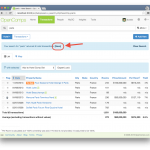 So, make sure you promote your activity on OpenComps by spreading the word about your profile and invite others to join. Just look for the “Invite More” link or button in the Newsfeed or Community Search and send invites to your colleagues and friends to join OpenComps. 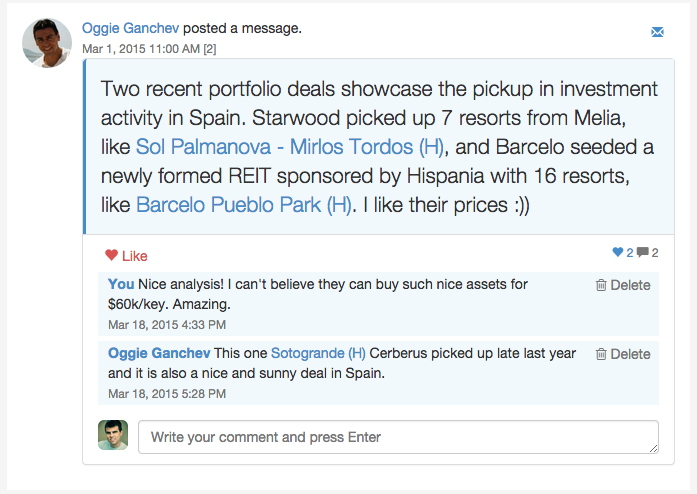 This entry was posted in General, Updates and tagged new feature, newsfeed on March 29, 2015 by Svetlin. 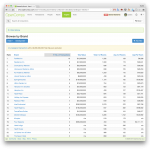 It has not even been a month since we released OpenComps 3.0 and, yet, here we are with another strong update, which we are calling OpenComps 3.1. We cleaned up some bugs and smoothed some features, but we also packed a whole new bag of goodies. Here are the highlights. This is a very important update! Yes, since the beginning of OpenComps (circa 2006) we have strongly believed that the creation and updates on comps should be transparent and accountable. But, we finally decided to look at it through the view point of 2015. Nine years later, we see that people are much more aware of what it means to attach your name to something on the Internet – blog post, Facebook post, tweet, LinkedIn update. And that such association can stay online “forever.” Well, disregarding the over-sharing Facebook friends, as a majority, we believe, we’ve come to understand and appreciate that. So, with that we would like to enter a new world for OpenComps: going forward new additions or updates/corrections on Comps will be NON-PUBLIC. You will continue to see your footprints around but you won’t be able to see other users’… and they won’t see yours. Together with the new Points system we introduced (to reward your efforts), we think there is no better time to get active in contributing new and enhancing current comps. Contribute freely! With that change, it means a lot more diligent editorial oversight will be required of us here at OpenComps. However, it has been our experience over the past nine years that users have been contributing good information and have never inappropriately altered existing comps (never!). We hope this continues! Of course, we have and continue to enhance our tools for data quality monitoring. Whenever you see a transaction that you feel has good info, we would appreciate if you give it a thumbs up. If you see transaction that has bad info, give it a thumbs down. This information will help us zero in on transactions where things may not be going so well so we can take corrective actions. Also, since your contributions will be non-public now, the only way to publicly claim participation in a transaction is to tag yourself. We hope you do! With the above update on how we treat Comps contribution, your Activity Stream will no longer contain your additions of comps. But it will contain comps in which you tag yourself as taken part of. And it will continue to contain new on-the-market additions. We were very encouraged by people’s response to our idea of mashing these user activity streams into one Newsfeed that you can personalize based on who you decide to follow. But who do you follow? We have given you a few suggestions to get started. And we have a sophisticated yet simple search to find other users. And now we are introducing Public Newsfeed, where you can view the activity streams of all OC users at once. Maybe that’s how you will uncover an interesting user to follow? Or maybe you just like to see the Public stream before you create your own Personal stream? Your choice. Don’t forget that you can also create Text Posts to the Newsfeed, for when you want to share your thoughts on current transactions or just general thoughts. And now with the Public Newsfeed, you can be sure that someone may uncover your posts even if they haven’t chosen to follow you yet. 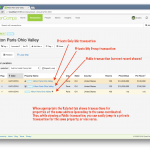 Over the past few years, we have worked a lot on enhancing the creation and display of transactions. We have a lot of work to do to start showing you the Insights from all these information or to further enrich this summary information. With that goal in mind we have created a brand new Company Profile format whenever you click to see information on a broker, buyer, seller or any entity, really. 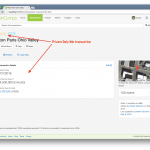 This new page not only brings together the various activities of an organization (buy-side broker, sell-side broker, buyer or seller), but also includes additional information such as logo, web site address, office location, description and, very importantly, a list of OpenComps users associated with this entity so you can decide to follow them or get in touch. 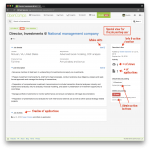 We are slowing adding more and more enhanced company profiles. Go to Insights and check out the Top Brokers to see their new profiles. If you would like your organization to have an enhanced profile, get in touch. If you want to become the primary user associated with an enhanced profile and thus be able to edit the information displayed on it, get in touch. We are continuing to enhance the product and we would love to hear from you what you think and what we should do next. 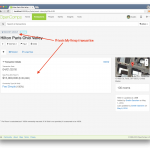 This entry was posted in General, Updates and tagged features, new feature, update on February 12, 2015 by Svetlin.